Better late than never, today’s pic comes to us from the Kung Fu episode “Ambush”. It first aired on April 4, 1975. 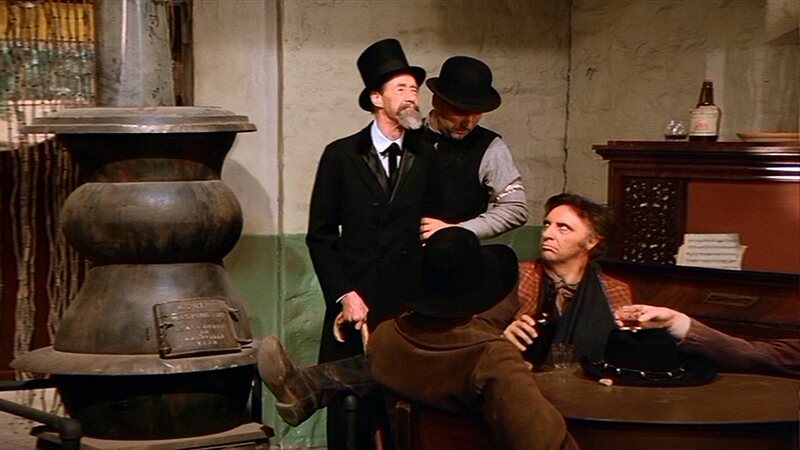 While waiting with his gang to track down a stash of silver, Timothy’s grumpy outlaw Bix Courtney decides to be just plain rude to blind preacher Serenity Johnson (John Carradine). Carradine, father of series star David Carradine, is a legend in his own right. 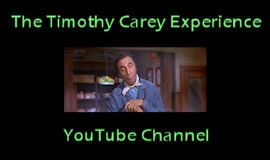 He made his acting debut at the age of 19 on the New Orleans stage and never looked back. His craggy features and stentorian voice can be seen and heard in everything from James Whale‘s The Bride of Frankenstein (1935) and John Ford‘s The Grapes of Wrath (1940) to Ted V. Mikel‘s The Astro-Zombies (1968) and Al Adamson‘s Horror of the Blood Monsters (1970). From the sublime to the ridiculous, indeed. He even sings the title tune of Coleman Francis‘ Night Train to Mundo Fine (aka Red Zone Cuba). You’ll never forget it – no matter how hard you try. A lesser actor’s career never would have survived such atrocities. Carradine emerged triumphant and never stopped working, right up until his death in 1988. This entry was posted in Film, Television and tagged al adamson, ambush, coleman francis, david carradine, horror of the blood monsters, james whale, john carradine, john ford, kung fu, new orleans, night train to mundo fine, red zone cuba, ted v. mikels, the astro-zombies, the bride of frankenstein, the grapes of wrath, timothy carey. Bookmark the permalink.